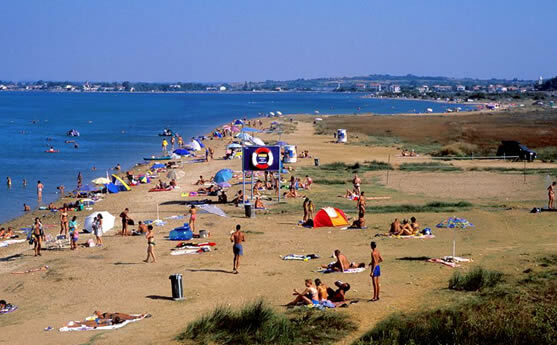 Camp Ninska-Laguna is located close to the small city of Nin, far away from the noise and pollution of modern civilization. Just a stone’s throw away lies the beautiful “queen’s beach“, famous for its sandy lagoon and blue water. 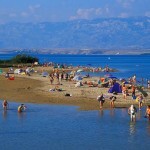 The “queen’s beach“ has been ranked by ADAC as one of the most beautiful beaches in the whole of Dalmatia. The beach is also known for its “peloid“; medical clay which is said to have a healing effect on different medical diseases. 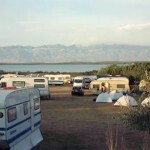 The camp has around 100 camping pitches, made to accommodate around 300 people. 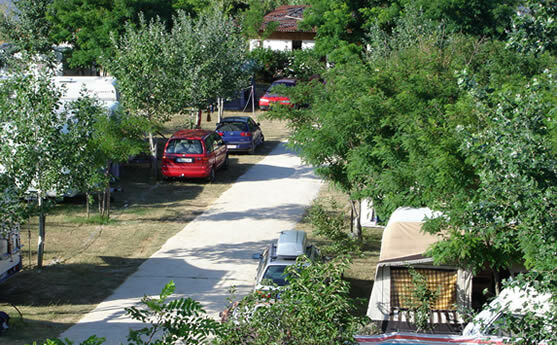 There are also a few caravans for rent.Just a few hundred meters away you’ll find the younger sister-camp “Ninska-Laguna II“. 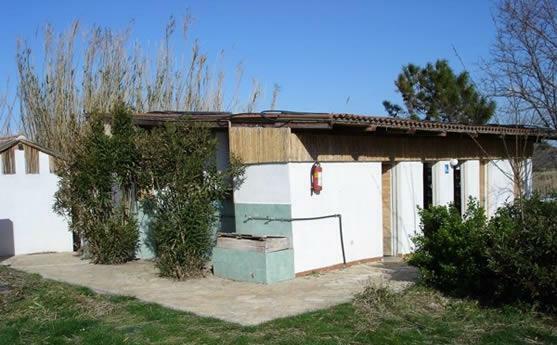 Founded in 2004 and not yet finished (no electricity, for example), it offers very cheap accommodation in a beautiful meadow surrounding. Camp Ninska-Laguna I & II are perfect choices for people who wish to spend their vacation in a peaceful atmosphere, close to nature. 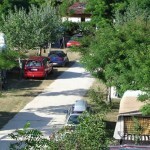 For those who do not possess their own caravan, you can rent one in the camp. They are placed nicely in the shade, ca 50m from the sea. Shops: No shops within camp area. Most necessities can be found in the city of Nin. Other facilities and services: At the centre of Nin, ca. 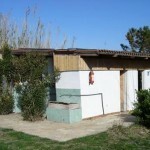 700 m from the camp, you’ll find a bank, post–office, and other services. 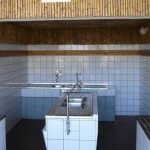 The camp has a big refrigerator that all guests are free to use (no additional cost), and a well with fresh drinking water. People may think that what they gain in peace and quiet, they lose in entertainment and fun. How convenient then, that the tourist settlement “Zaton“ is located less than 2 km from the camp. At Zaton you’ll find “Saturnus“, one of the biggest disco clubs in Europe. A smaller disco club, “Venus“, is located just 800m from the camp. 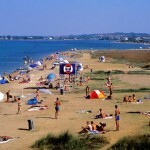 Sports: The tourist settlement “Zaton“ offers numerous possibilities for those interested in sports. Zaton lies ca 2 km from camp Ninska-Laguna. They have tennis- and soccer courts, a riding club, diving school, and much more. Medical mud (peloid): Since the time of the Romans, peloid has been used as treatment for various medical conditions, such as rheumatism, skin diseases and even infertility. For assistance and information about the treatment, just ask the camp’s medical staff. This sister-camp was opened in 2004, and it’s located about 500m to the west of the first camp. 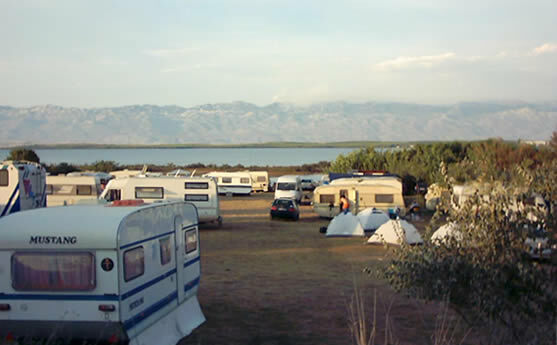 Camp Ninska-Laguna II lies quietly on a mead owed hill, overlooking the sea and mountain Velebit. Since the camp is in a phase of development, it still lacks electricity. Its important to emphasize that because of this, prices has been adjusted, making it very affordable. 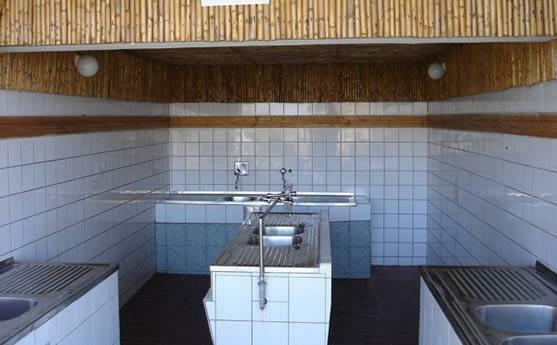 Toilet facilities with showers, wash basins, room for washing dishes and clothes. The Church St. Cross in Nin. Built the 9th century, this gorgeous little white church is also known as “the smallest cathedral in the world”. Kornati, Krka & Plitvice national parks.